The EGO Power Head Edger delivers the power to cut and features a depth control wheel for greater precision. 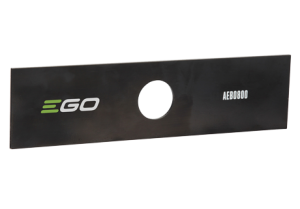 This premium edger blade is great for edging driveways, sidewalks, flower beds and borders. Maintain a clean and precise yard with the EGO Power Head Edger. EGO parts are designed specifically for your EGO POWER+ Power Head System and offer the highest quality, performance and value.